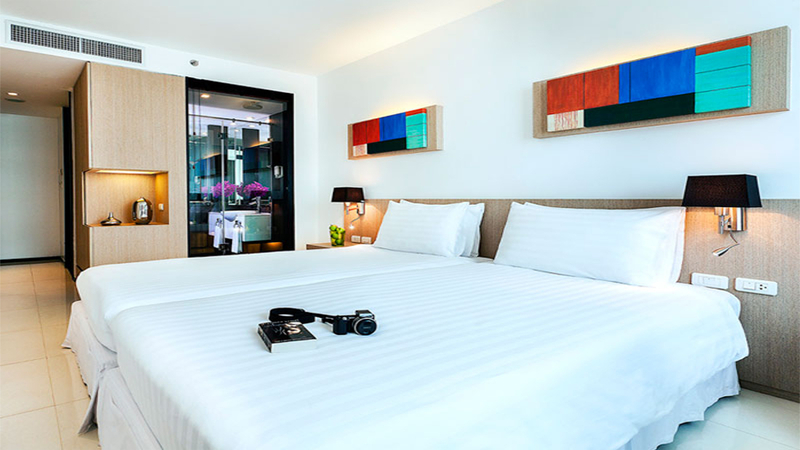 Explore Bangkok’s maze of exciting attractions from the comfort of a contemporary hotel, featuring modern facilities, and budget friendly prices. 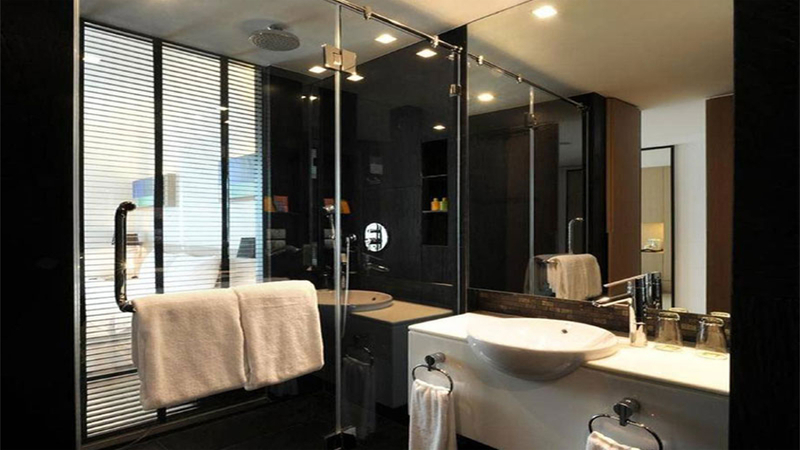 Vic3 Bangkok is located in a vibrant area with easy access to the Skytrain that connects you to the city’s key sights. At the end of the day, put your feet up by the pool or sip a refreshingly cool cocktail in the laid-back Bistro. Whether you’re travelling for business or pleasure, this conveniently placed hotel is a superb base for a successful trip. Bangkok isn’t by a beach, but it’s easy to combine a trip to the city with a beach retreat to one of Thailand’s beautiful islands, such as Phuket or Koh Samui. 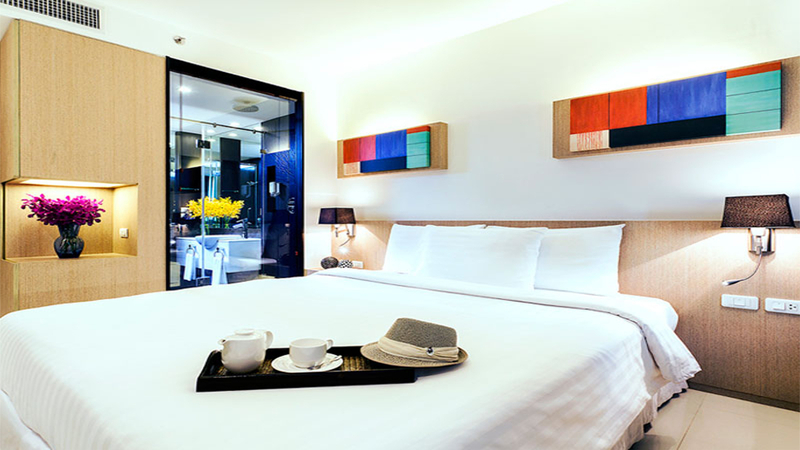 Vic3 Bangkok is centrally located in the Phaya Thai District with numerous cafes, bars and restaurants nearby. It’s a 3-minute walk to Sanam Pao Skytrain Station. 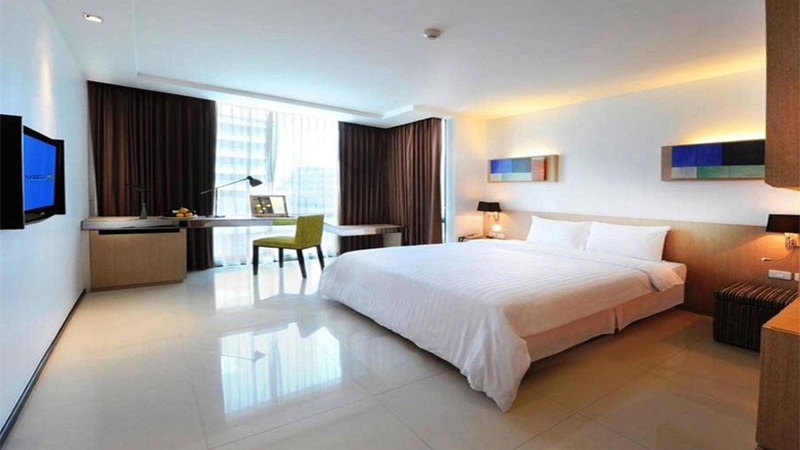 Suvarnabhumi International Airport is approximately 28km from Vic3 Bangkok Hotel.